View from the Pink Cliffs. Photo courtesy of Bryce 100. More adventurous runs in beautiful places — for all of the growth that the sport of ultrarunning has experienced in the past decade, this is perhaps the most mutually beneficial development. As more runners enter the sport, more race directors are stepping up to offer new events in their own backyards, introducing the community to regions and trails they might otherwise have never discovered. 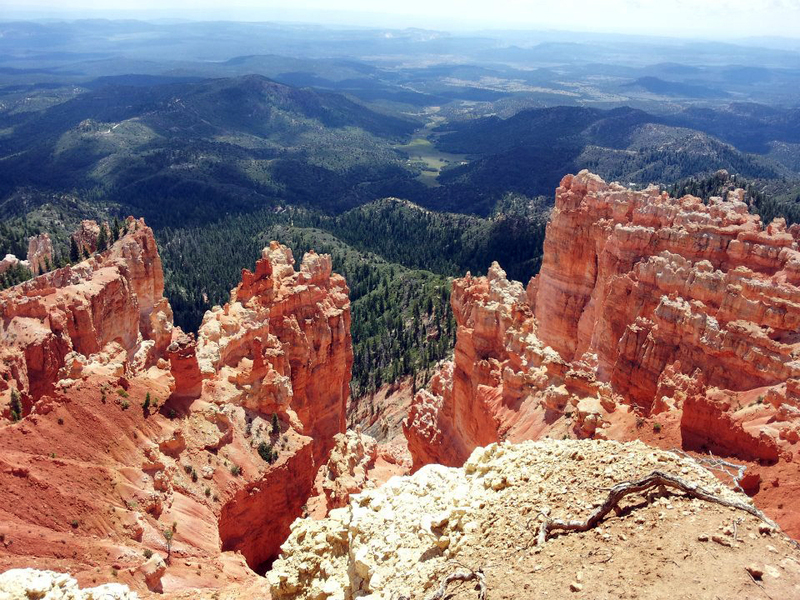 This is the case with Matt Gunn, director of last year’s Zion 100, who decided to open a new event in the high desert outside Bryce Canyon National Park. 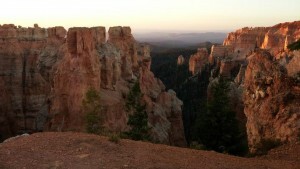 The inaugural Bryce 100 is slated for May 31, 2013. Gunn also considers himself “new to the scene,” and in creating events among the redrock and pines of southern Utah, he’s aiming to give back to the sport that he’s quickly grown to love. An avid hiker and mountain biker since he was a child, Gunn started competing in Ironman triathlons after his father died in 2002. From there he found his way into ultra-distance trail runs, such as the Desert Rats 50-miler in Fruita and the Bear 100 in Northern Utah. Gunn’s family owns a small getaway in Panguitch, Utah, so he’s been running and mountain biking the trails in that region for nearly twenty years. 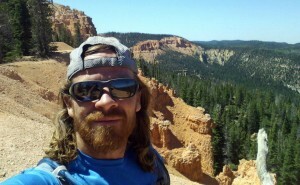 The idea to host a hundred-mile run near Bryce Canyon came to him a couple of years ago, as he neared the bottom of the Thunder Mountain mountain bike trail and noticed a sign that said “Grandview Trailhead, 78 miles.” Intrigued, he set out to learn more about the Grandview Trail, which wraps all the way around the forest-lined Paunsaugunt Plateau. He decided to create a course to highlight the best sections of the trail and define it as an alpine run, contrasted to his course at the Zion 100, which he calls “a true desert run.” The out-and-back course wavers between 7,500 and 9,500 feet, holding runners to consistently high elevations where the late spring air is cool and the trails are shaded, but the air is thin. 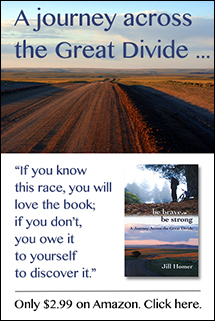 The hundred-mile race nets about 14,000 feet of climbing along the rolling terrain of the high plateau. As for the nuts and bolts of the race, there will be aid stations every five to ten miles, and drop bags are allowed at aid stations. One aid station will feature “famous electrolyte snow cones” and others will have the usual water, ice, electrolyte drink, Coke, snacks, and gel. Runners are allowed to pick up pacers from the aid station closest to the turnaround point. The course is 50 percent singletrack and 50 percent ATV trail. Hundred-mile runners are given 34 hours to complete the distance, and there is a hundred-kilometer event with a twenty-hour cutoff. Registration is available at Ultrasignup.com. Gunn said the Bryce 100 is a good fit for runners looking to finish their first hundred-mile run. As a relatively new race director, Gunn said he learned a lot while hosting the Zion 100 last May, and applied those lessons to both of his events this year. For more information about the Bryce 100, visit the Web site at http://bryce100.wordpress.com. 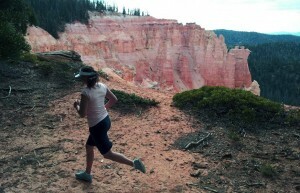 Full disclosure: Beat and I did register for the Bryce 100. Looking forward to Memorial Day weekend!